Through our daily habits and stress such as sitting, typing and driving, the shoulders can become rounded. This negatively impacts posture, shoulder mobility and causes pain and tension in the neck. 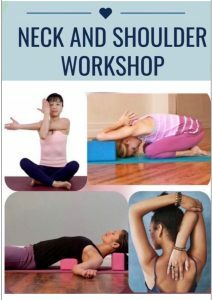 Join BYRC teacher Erin as she guides you through a practice designed to release and strengthen these areas of the body.